Good buys. Good food. Good company. The weekend is over! *sigh* The only way to get through your Monday Blues is if you've had an awesome weekend to look back at and smile! Happy Monday everyone! I hope all of you had an awesome weekend! If you're like me, one who goes to work before the sun rises and only get home when the sun sets then I bet you'd make the most of your weekend the minute Friday starts! As the title suggests, this weekend was a weekend of good buys, good food and definitely good company! 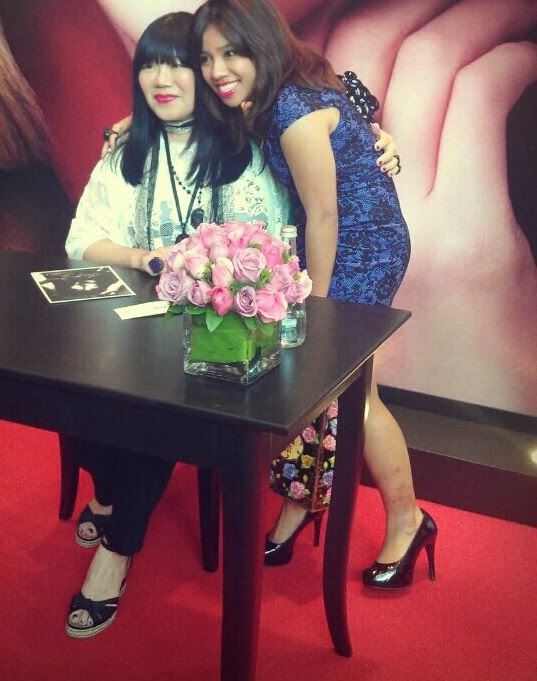 On Saturday I attended A Dorothy Perkins' Styling Workshop by The Malaysian Women's Weekly! I got the times mixed up and reached a little late but Sabrina, the Fashion Editor was still kind enough to share some tips with my girl friends and I. Take a look at the picture below! Doesn't she look gorgeous! I absolutely love her #ootd ! It was lovely meeting you Sabrina! My First of many more to come Since I've started blogging, I've met so many new people, made so many new friends and was exposed to a whole new world. I used to only dream of this but never actually did anything about it.